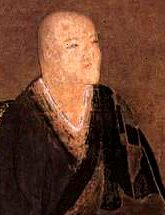 Dogen on traceless realization | eWakening now! To study the buddha path is to study the self. To study the self is to forget the self. To forget the self is to be realized by all that exists. When realized by all that exists, one’s body and mind and the bodies and minds of “others” drop away from thought. No trace of realization remains, and this no-trace continues endlessly. This entry was posted on March 18, 2008 at 4:59 pm and is filed under buddhism, enlightenment. You can follow any responses to this entry through the RSS 2.0 feed. You can leave a response, or trackback from your own site.